Choosing the right tires for your Volvo is absolutely essential. Indeed, we must not forget that tires are the only point of contact between your vehicle and the road. This means that, in both summer and winter, the stability and handling of your Volvo depends on the quality of your tires. In winter, your tires allow you to brake faster on the ice and stay in control of your Volvo. In combination with the advanced all-wheel drive of your vehicle, they can tackle snowy and icy roads with confidence. Your tires play an equally important role in the summer. Your Volvo is known for its comfort and stability as well as for its impressive braking, and many of these features can be attributed to the tires on the vehicle. At Volvo Cars London, we have the right tires for your Volvo, regardless of the year and model. We will be able to advise you on your winter tires, check if your current tires are in good working condition, and help you find wheels or rims when you want to change or protect your summer wheels. We have special offers that will help you save on the purchase of summer or winter tires and a storage service that makes life easier between each season. 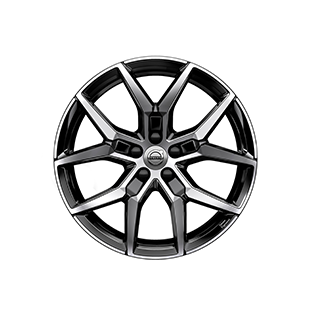 Whatever your tire needs, we can help you at Volvo Cars London. Come and see all of our summer and winter tires designed for your Volvo XC60, XC90, S60, V60, S90, or XC90 today. We will take the time to listen to you in order to find the right tires for you and your lifestyle. We are waiting for you today! This dealership is a tire collection site and you may return tires to this site at no charge. Please contact us for more details.